The winner of Italy's Sanremo song contest has been thrust into the centre of a political brawl that mirrors the divisions within Italian society. Born in Milan to an Italian mother and an Egyptian father, 26-year-old Mahmood won the prestigious contest over the weekend with his Moroccan pop song "Money." He will represent Italy later this year at the 2019 Eurovision Song Contest in Tel Aviv. Mahmood's triumph in the contest was thanks to a combination of press jury and expert jury voting, which totals 50% of the votes. However, Italy's general public favoured the runner-up, Ultimo, with their 50% share of the votes. 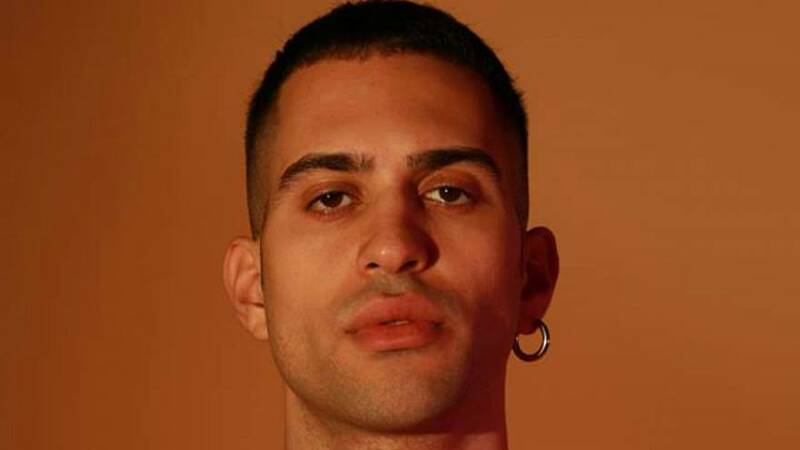 Critics have argued that Mahmood's win represents a “political” choice due to the singer's Italian-Egyptian origins — "Money" talks about the difficult relationship between father and son, and also features a line in Arabic. Italian Interior Minister Matteo Salvini, who is known for his anti-immigration stance, tweeted his surprise at Sanremo's win, saying he would have also favoured the runner-up. "Mahmood.....Mah..... The most beautiful Italian song?!? I would have chosen Ultimo," he wrote. Ever since the verdict was announced to the contest's more than 10 million viewers, Italy has been locked in bitter discussions over the Sanremo festival. The debate has been over politics, racial prejudices within the Italian society and the perceived growing divide between ordinary people and an elite portion of the population. Even the Five Star Movement jumped on the issue: “Whoever is using this song against the government is desperate. Instead, it is doing us a favor”, said Luigi Di Maio, Italy's deputy prime minister. Laura Boldrini, former president of the Chamber of Deputies and a fierce opponent of Salvini, retweeted her. Eventually, the deputy prime minister phoned Mahmood to congratulate him for the victory. In interviews after his victory, Mahmood was forced to remind people that he is "100% Italian," having been born and bred in Milan. However, a number of users pointed out on Facebook and Twitter that being half Italian or foreign would not somehow diminish his achievement. In an interview with Repubblica, Mahmood said: “My generation does not even perceive [these differences]. It is already a reality in our neighbourhoods. In my class, at the elementary school, we had pupils from China, Russia, from every race and every country. Possibly the earlier generations feel this difference because they were raised in a world in which a migrant or the son of mixed couples was an exception." There was a mix of anti-immigrant comments on the Sanremo contest's official Facebook post about the winner. “It would be good if only Italians singing Italian songs could win,” said one. Controversial newspaper Libero even ran a provocative headline: “The Festival of immigration, Sanremo shifts from Modugno to Muhammad”. Since 2015, the Sanremo winner has been chosen by combining the people’s vote (via sms or phone call), with a weight of 50% of the total share; the press vote (30%) and the honour jury’s vote (20%). The people’s vote saw runner-up Ultimo coming out on the top with 48.8% of the votes, while Mahmood was only in 7th place. However, the press and the expert jury overturned this verdict. A consumers’ association announced an informal demand for an enquiry to the Italian Competition Authority for an alleged “economic damage” for the citizens, whose “vote has been annihilated and humiliated”. Il Giornale, a right-wing newspaper, hit the newsstands with this headline: “The usual suspects choose and award rapper Mahmood”. Another newspaper, La Verità, said: “The VIP lounge gives away the Festival to Marocco Pop”. Runner-up Ultimo, a 23-year-old songwriter from Rome, was the first person to openly protest the verdict. Angry over the defeat, he took to Instagram to write that it was not “what the people wanted." Five Star Movement leader and deputy prime minister, Di Maio, wrote on Facebook: “The winner was not what the majority of voters wanted, but what the minority of jurors wanted. The jury is made largely of journalists and radical chic…Thanks to Sanremo, this year millions of Italians have known the abyssal distance between the people and the elite. Hopefully, next year’s winner will be chosen with the public televoting only”.